We're starting to learn more about how Microsoft will be making the Windows 10 upgrade appealing to enterprise and business users. Through information shared with Windows reseller partners, we've learned that the biggest change to the operating system is that IT administrators will have more control on when to roll out new features to users. Unlike other editions or versions of Windows, Windows 10 Enterprise will only be available as part of Microsoft's volume licensing program. As such, it won't be available in traditional retail channels. Enterprise users with volume licensing contracts and Software Assurance will be able to upgrade to Windows 10 when it is ready. We learned previously that enterprise users won't be able to participate in the free first year upgrade program for consumer editions of Windows 10. According to a Microsoft presentation slide that was shared with partners, IT administrators can delay new Windows features from being pushed out to enterprise users for up to ten years. Through Microsoft's Long Term Servicing Branch (LTSB) support, a feature exclusive to Windows 10 Enterprise, IT managers can now delay the delivery of new features for up to ten years. Regular security updates and bug fixes will still be available to users. For large organizations, administrators can also put different enterprise users on different Windows 10 servicing branches. There are three branches to choose from – LTSB, Current Branch and Current Branch for Business. 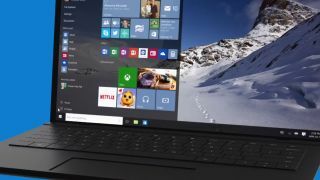 With Windows 10, Microsoft is said to be dropping the fees for some of its software add-ons. The Microsoft Desktop Optimization Pack (MDOP) will be free for new and renewing customers with Software Assurance, but not retroactively. MDOP gives users access to virtualization, management and recovery tools. Side-loading is another capability that will be available for free for Windows 10 users. Current Windows users have to pay for a side-loading license, but Microsoft will be building that capability into Windows 10 so a separate add-on license will no longer be needed. If you're not keen on keeping your Windows 10 license because of your enterprise environment and compatibility issues, Microsoft is also offering free downgrade rights. Windows 10 Enterprise users will have the option to move back to Windows 7 Enterprise or Windows 8.1 Enterprise if they choose. Microsoft announced that Windows 10 will be available to Home and Pro customers starting on July 29. It's unclear when Windows 10 Enterprise will be available. For consumers not eligible for the free update program, Windows 10 Home will cost $119 (£78, AU$156) and Windows 10 Pro will cost $199 (£131, AU$262) per license, Microsoft told TechRadar. Windows 10 Home users who want to upgrade to Pro will have to pay $99 (£65, AU$130) for the Windows 10 Pro Pack.